The first lady of America dressed in a simple yet elegant coat during her and President Trump’s meeting with the South Korean leader. Her outfit stood out from the photos they took. 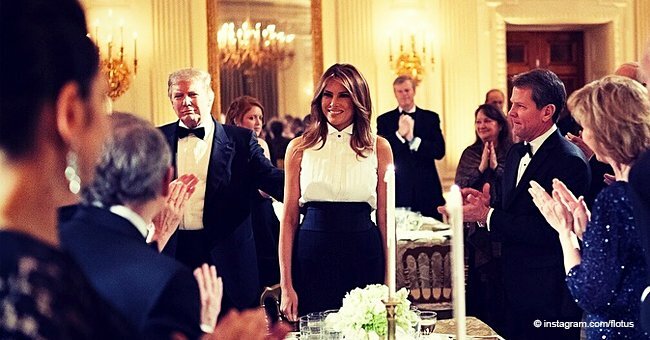 Melania Trump once again dazzles everyone with her simple yet classy outfit. She and her husband, President Donald Trump, welcomed the South Korean President Moon Jae-in and his wife, Kim Jung-soo at the white house last Thursday. The first lady of America wore a bright magenta wrap coat from Louis Vuitton, worth $4,750, and paired it with high black Christian Louboutin pumps. She pulled her outfit together with a black leather belt around her classic wardrobe. Kim Jung-soo also wore a coat with a different shade of pink for the occasion. The 64-year-old dressed in a pale pink printed coat which she wore over a dress with the same print. She accessorized with an elegant pearl necklace and earrings, and a clutch of the same color. The agenda of the meeting of the two leaders was to discuss a strategy to convince North Korea’s leader, Kim Jong Un, from making and obtaining nuclear weapons, which has been the case for some time. The discussion included plans to have nuclear talks between the U.S. and North Korea, after the unsuccessful summit in Hanoi, and Trump’s vow that there would be sanctions for every action of North Korea. There may be a third summit with the North Korean leader, but Trump did not disclose whether he has been in contact with Kim Jong Un recently. However, the two sometimes engage in conversation. In the recent efforts of the nations to stop nuclear activities, North Korea has agreed to suspend nuclear tests and missile launches but has not yet taken steps for denuclearization. Trump-Kim Summit Ends Abruptly: No Deal! 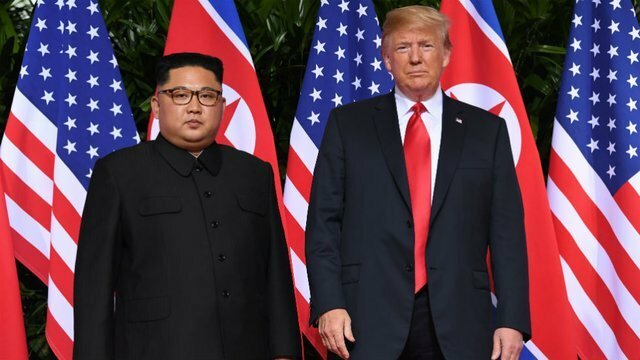 The two leaders agree on the ‘ultimate goal’ being the denuclearization by North Korea, but Moon believes that the Hanoi, Vietnam summit was merely part of a process, rather than an ultimate failure. “The important task that we face right now is to maintain the momentum of dialogue and also express the positive outlook regarding the third U.S. - North Korea summit to the international community, that this will be held in the near future,” said Moon. The two first ladies were present during the discussions, sitting beside their husbands in their dashing outfits. “Look at the photos of their wedding versus Star’s. It’s the exact same thing! The way the flowers were set up, the layout, the whole thing,” he added. 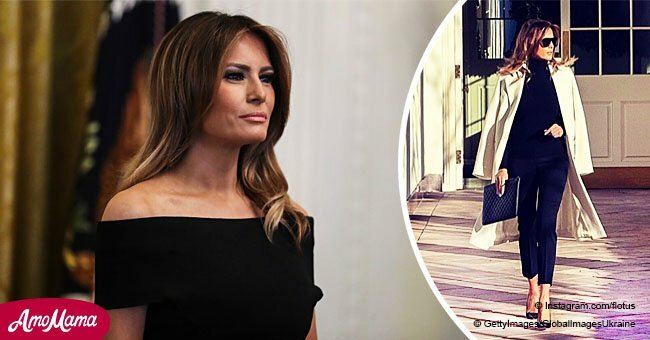 No one can ever be sure if these accusations are true or not, but Melania does have a sense of style. However, her high sense of fashion will never be enough to land her a cover on Vogue, says editor-in-chief, Anna Wintour. “You have to stand up for what you believe in, you have to take a point of view,” she shares with chief international anchor, Christiane Amanpour. Her statement sparked debates as previous democratic leaders have been on the cover of Vogue such as Michelle Obama, with three covers, and Hillary Clinton.